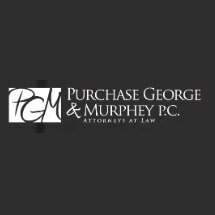 The law firm of Purchase, George & Murphey, P.C. represents the people of Erie, Pennsylvania, in legal issues related to personal injury. When an individual has been injured because of the negligence of another organization or individual, we will stop at nothing to get them the compensation they require to alleviate their stress as they recover from their injuries and rebuild their lives. For our high-ethical standards and long list of successful results, we hold the highest peer review rating possible of AV Preeminent* from Martindale-Hubbell. As two of our attorneys previously worked for insurance companies, we have detailed insight into how to best handle a personal injury case at the law firm of Purchase, George & Murphey, P.C.. Our attorneys also handle cases of criminal defense and DUI, and we are happy to accept credit card payments in office. Lake Erie Community Park, Inc.
Atty. W. Patrick Delaney, Esq.